I love my prayer walks. 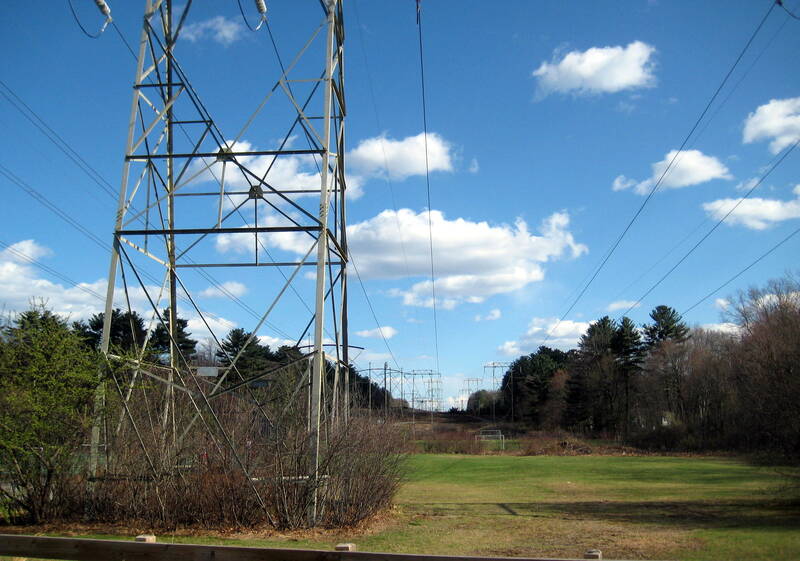 Wyndham and I often walk along a gravel/mud path across from our house that follows several miles of power lines. Yesterday as we walked and prayed (and scolded Denver for eating the leash) I kept noticing the path of wires above me. It is at times disconcerting to hear the electricity’s snap, crackle and pop in these wires. I’ve also wondered (since I have been hit by lightning and currently walk under power lines) if I am overcharged with electrical current. Is it just me or do others often get shocked when touching food on grocery shelves? Regardless, it is perplexing to me to ponder the way power inside of these thin wires accomplishes so much. I try to imagine what goes on inside of those wires – where at any given moment the flick of a switch allows me to turn darkness to light in my kitchen. Miles away, someone else can stay warm even when the temperature outside is frigid… all because of the power going through these wires. Even more amazing is what goes on as I walk under these wires. I can open my mouth, or just speak from my heart – and the Creator of the universe who gave me the breath of life hears what I say and is able to act on it. While it’s incredible to look up and realize that the power going through the wires enables me to see when it is dark and allows someone else miles away to stay warm when it’s freezing outside – this pales in comparison to what goes on below and beyond the wires. Because of the prayers we pray as we walk the power lines, (or anywhere we may be) astounding things can happen. As I focus prayer on certain individuals, situations and churches here or across the ocean I don’t know all that is happening… but I do know that power is being exerted there. While I don’t know how God will answer my prayers I have often been amazed as I’ve seen unexplainable answers to these prayers by way of changed hearts or circumstances in those for whom I or someone else has requested God’s attention and intervention. As I read my Bible I recount times when directed prayer resulted in: a nation crossing an ocean on dry ground; a giant falling as a result of a shepherd boy’s slingshot; a man staying safe while in a den of lions and three men inhabiting an inferno without a single hair on their bodies being singed. After prayer thousands were fed from two fish and five loaves of bread, jail doors miraculously opened and on and on and on…. You are the God who performs miracles;you display your power among the peoples. With your mighty arm you redeemed your people, the descendants of Jacob and Joseph. the very depths were convulsed. The clouds poured down water, the skies resounded with thunder; your arrows flashed back and forth. Your thunder was heard in the whirlwind, your lightning lit up the world; the earth trembled and quaked. As I walk along the power lines I am reminded that God’s power was made available to me through Jesus. Romans 1:16 I am not ashamed of the gospel, because it is the power of God for the salvation of everyone who believes: first for the Jew, then for the Gentile. Our connection to God accesses power that is beyond anything physical or within the dimensions of our understanding. So, as I walk along the power lines and consider all that is happening because of the activity going through the wires may I be ever so aware, available and humbled by the power available to me through my relationship with God. This entry was posted in Uncategorized and tagged connecting with God's power, power of God, prayer, prayer walks by jeanieshaw. Bookmark the permalink. I love your powerful thoughts. Too often, I think, we don’t tap into God’s power that is readily available to His children. This was a great reminder. I loved the scriptures mentioned, especially after the tormadoes that wrecked destruction on our area. I love that Psalm. So it’s not just me getting shocked :-).